Bill Rabsey likes to repurpose things he finds during his daily travels. You have to search for and find all manner of objects and save them. Ordinary objects become unusually interesting because their purpose and content are altered. The viewer sees the object in a totally new “light”. 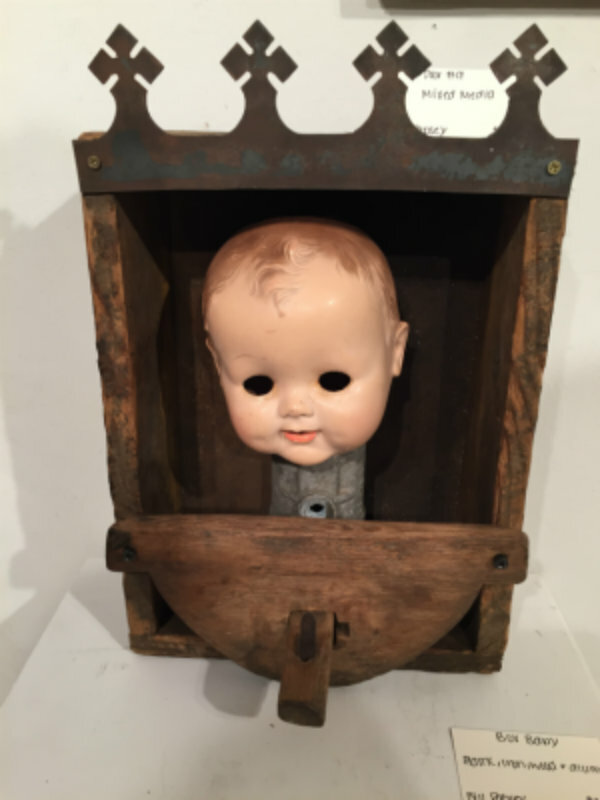 An antique doll’s head nestles in an old wooden box partially revealed from behind an antique coopers tool. Mr. Rabsey’s great grandfather was a cooper or barrel maker, so he has the old tools. 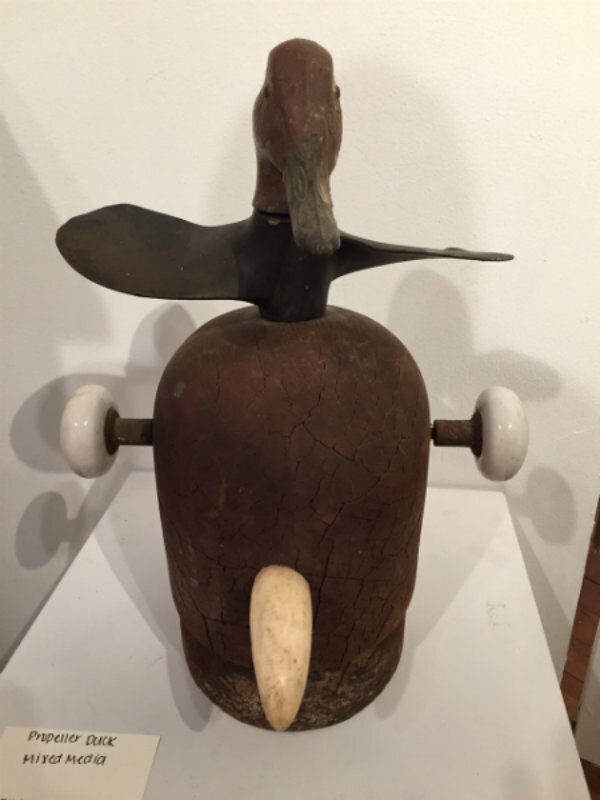 When you look at his work, you may notice old plumbing parts , assorted gauges, crushed copper from the Hudson River, old knobs, even a baseball. One of his works in a box, consists of a short piece of chain under 3 small gauges. He calls it “Chain Under Pressure”- a play on the physics of chains, which are under tension not pressure, very clever.